An Ipsos poll conducted for Reuters from August 13-18, 2015, found that the American public is strongly reacting against Planned Parenthood after viewing the investigative videos from the Center for Medical Progress. But you’d never know that, thanks to the way the media is distorting the findings. 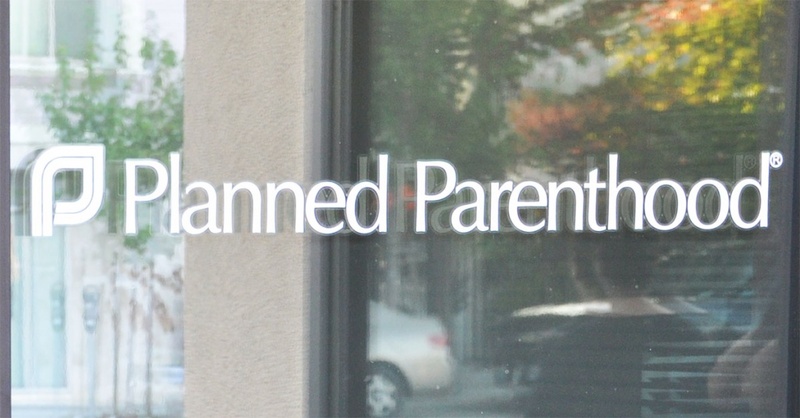 Instead of talking about the important numbers – the reactions of those who have seen the incriminating videos – the media highlights public support for free cancer screenings, and suggests over and over again that Republicans tread lightly in regards to Planned Parenthood – all while 44% of those who had seen the videos said their views towards PP were more negative as a result and 31% said seeing the videos made them even more opposed to abortion. As you may have heard, an anti-abortion group recently released videos reportedly showing Planned Parenthood staff saying they sell tissue from aborted fetuses. Due to these allegations, Republicans in Congress are attempting to take away all federal funding for Planned Parenthood. In light of this, do you support or opposed the defunding of Planned Parenthood? Americans broadly support providing federal funding for free women’s health exams, screenings and contraception services, a Reuters/Ipsos poll has found, suggesting risks for Republicans criticizing Planned Parenthood as part of the 2016 campaigns… the strong support for federal funds to help Planned Parenthood provide pregnancy tests and other services indicates Republican presidential candidates should tread carefully… The Reuters/Ipsos poll shows they [Republicans] should be cautious on women’s health issues. The problem with these statistics – as they are described in the Reuters article – is that they are misleading. Of course a question such as, “Do you support or oppose the federal government funding of Planned Parenthood?” will gain a lot of positive responses – especially when it follows questions regarding cancer screenings, women’s health exams, health counseling, etc. Many have been misled in their views of what PP actually does. For example, many believe the common – and completely false – claim that abortions make up only 3 percent of PP’s budget. Read more about that here. The real truth of the poll is found in the responses of those who had seen the videos from the Center for Medical progress. Surprisingly, 63% of respondents had not seen the videos – meaning a generally positive response to Planned Parenthood is actually completely unsurprising. When the poll moves on to those who had seen the videos, the responses become decidedly more negative, as described above. The 44% who indicated their views on PP are more negative after viewing the CMP’s videos can hardly be described as “a small population” – at least not if Reuters and Ipsos intend to present this poll as accurate and indicative of the feelings of the overall American public. The truth is, Planned Parenthood should be worried about these poll numbers. Claims of “deceptive editing” fall flat when people view the full videos released by The Center for Medical Progress, and nearly half of those who see them – as we can see from these poll results – react with disgust at Planned Parenthood. Of course, Americans broadly support providing federal funding for women’s health exams. Of course, most Americans support funding for cancer screenings. That’s not the real issue here, and that’s not the part of the poll results that matters. What matters is that a significant percentage of the American public is growing more and more disturbed by the unethical and illegal practices of Planned Parenthood. The key is getting more of them to see the undercover videos.